Raja Ranguski, the Dharanidharan directorial had completed its shooting some time ago. The film features Shirish and Chandini in the lead roles with Yuvan Shankar Raja composing the music. Simbu had crooned a number also for this film. Shirish plays a cop Raja and Chandini, the journalist Ranguski. 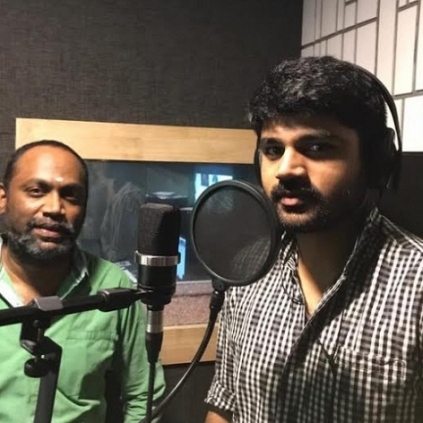 Today, 14th April, dubbing began for the film. Talking about this, Shirish mentions, “It is really exciting. I need to get the right tone as the cop and we had a few lock sessions today”. Dhanush’s Pa Paandi 1st day collection report! Day 1 collection report of Sivalingaa! Just in: SJ Suryah’s next with Nayanthara’s director! Superstar's ​movie breaks the Guinness World Record! Actress's car lost last year, found this year! A milestone film for Vijay Sethupathi begins! People looking for online information on Dharanidharan, Raja Ranguski, Shirish Saravanan will find this news story useful.